When we name something we instantly define it. 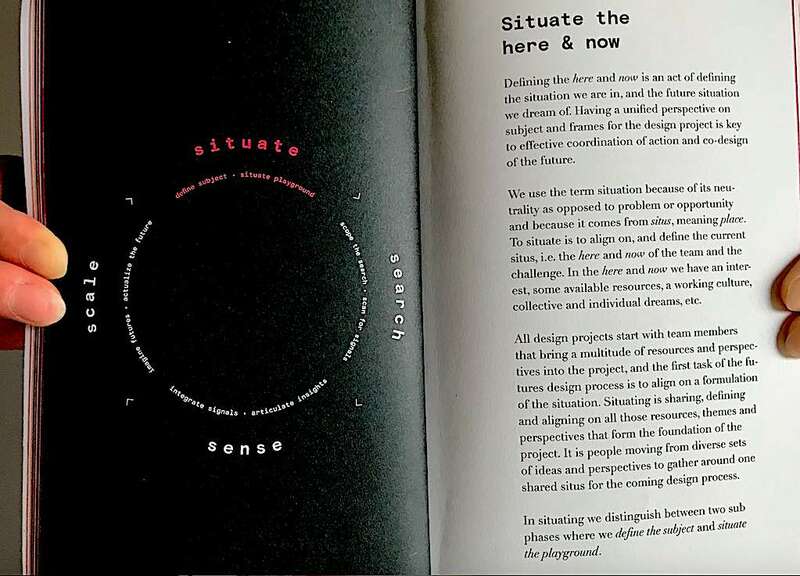 Verbalizing the current situation as a subject, challenge, theme, research question or domain of exploration is the first step in initiating the futures design process. Engaging people under the same guiding star in order to co-design, is what creates the foundation of a successful project. The first step in engaging people in a design process, is aligning around an attractive formulation of the subject of study. The articulation of the subject will affect how we talk and feel about the project, and ultimately who will participate in the design process, and how. We aim to articulate the situation in a way that invites people to explore and collaborate on the project, and that inspires curiosity, creativity and playfulness. The subject situation covers the domains and topics that the organization wants to explore and eventually master, this will mark the starting point of the futures design journey in a clear and comprehensive way. 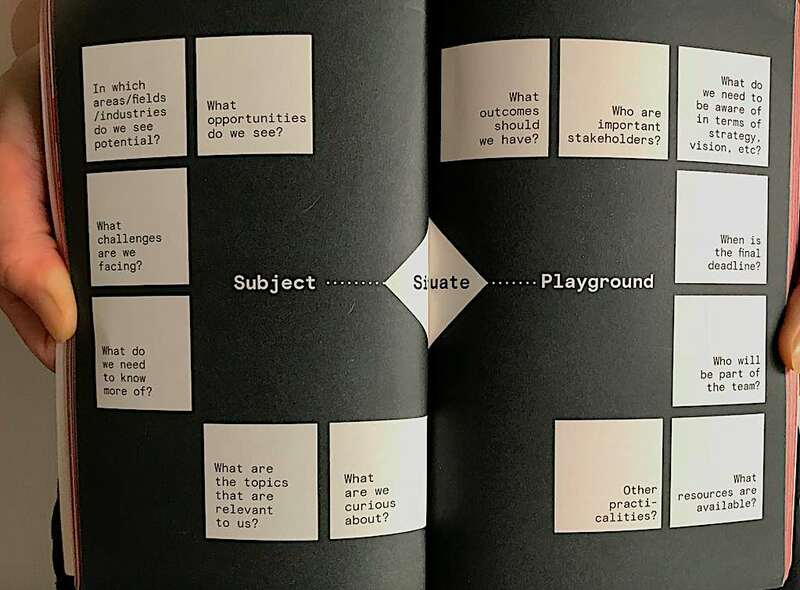 Before embarking on our futures design journey we must understand the boundaries and characteristics of our domain of work, what we call situating ourselves on the playground. Mapping the resources, time and people committed to the project, helps us make sure that our work will translate into action and impact. When planning, we create an overview of the project in order to balance the resources and time allocation between the phases. A too large focus on the scanning and sensing phase will create well grounded insights but leave insufficient time for translating them into new scenarios. Conversely too much focus on scaling will leave insufficient time for other phases, and insights will most likely be grounded in low quality observations or a very narrow scan of the environment. Estimate to go through the four phases at least once for a given situation and preferably more times, as each iteration both increases our sensibility towards the situation and the quality of each phase, and attracts more people to the project. Situating the playground covers resources, time, working methods, approaches and other practicalities and will often be formulated as a working brief including timelines, intention, outcomes, contractual agreements, and the like.